When I look down slightly at my computer monitor on my desk I get the most horrendous and awful migraine headaches because my head acts as a counterweight and gives me a migraine that makes me want to cut off my own head and pain that makes me feel beaten up all over my body. Pain shoots down my extremities and I feel like I want to vomit when I’m supposed to be productive at work. If I lower my office chair so my head is level when I look at the computer monitor, I’m so short that the keyboard tray on my desk is too high and gives me a slight shrug while I work. Bam! More migraines and pain. It took years to find the right person to tell me the cause of my very real but mysterious pain issues are a poor ergonomic work station not tailored to someone of my petite stature. I’m just a small pint size girl living in a lanky world. 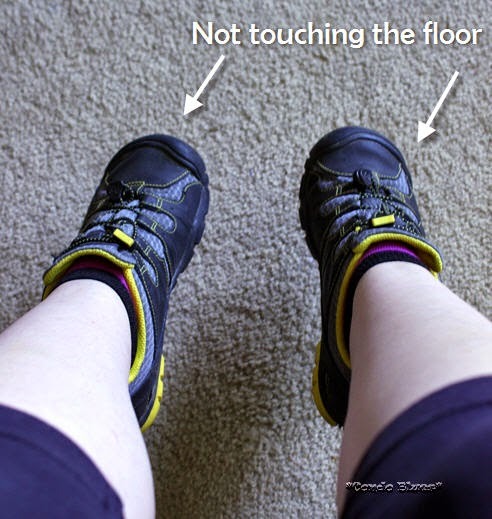 Short girl problems. Luckily, since I already use a desk with a lowered keyboard tray, it was easy to adjust my office chair to to make sure my arms are wrists are parallel to my keyboard and remove the slight shrug when I type. I use an adjustable office desk foot rest to make sure my feet touch the ground otherwise my knees ache because my feet dangle. Disclosure: I included affiliate links in this post for your convenience. DIY Duck Tape Computer Monitor Raiser to Kiss Those Headaches Goodbye! The only thing missing is a putting my computer monitor on a stand at the correct height so my head stays level when I look at it. Pin this tutorial for later! The pink sphere is a Himalayan sea salt lamp. It is supposed to release positive ions and help clean the air. It looks like the planet Mars when I turn it on and that makes me happy. So I guess that means it works, rights? 2 or more telephone or text books – How many you need will depend upon how high you need your computer monitor to be eye level. I am using three. Fiskars Crafts Duck Edition Scissors - They are made to cut duct tape and only scissors I've found that cuts duct tape on the first try! Project Manager - As always Lacey is ready for the task at hand! 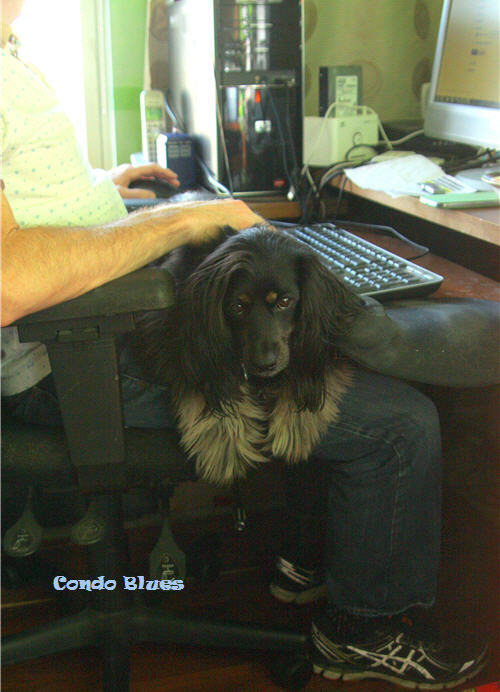 I’ll keep an eye on your work from this side of the office because it is time for my afternoon back massage. Management is hard work! 1. 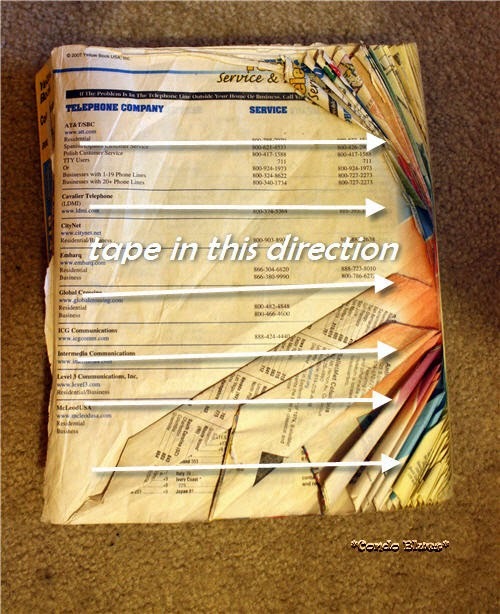 Wrap a stack of telephone books together with duct tape overlapping edges from side to side. The sorry state of this book is the reason why I need to cover it in duct tape. The weight of my monitor is not kind to unprotected books. 2. 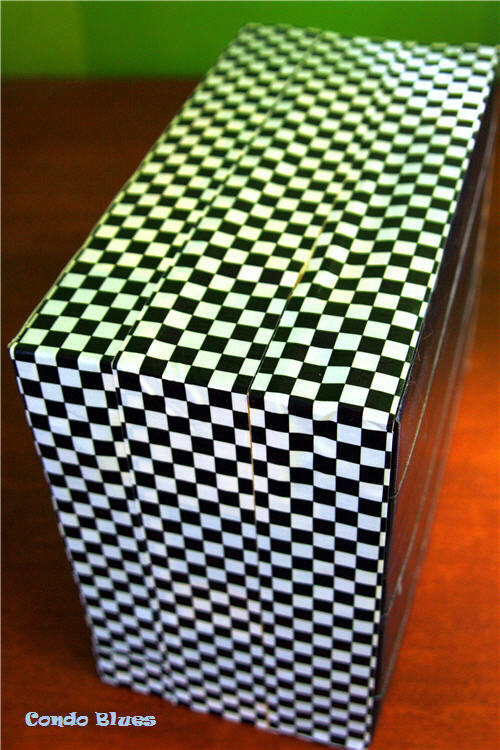 Wrap the books in one piece of continuous duct tape with overlapping edges from top to bottom. This will keep the books closed and the pages from shifting back and forth under the weight of your computer. 3. At this point your computer stand is finished unless you want to decorate it with a third layer of tape. I have leftover Duck Tape bits and figure this is as good as time as any to use my leftovers. I covered the book spine and page edges with Back and White Checked Duck Brand Tape. I lucked out my telephone book is the same width as my duct tape. If not, I would have layered it. I stuck one leftover black Duck Tape Single Sheet in the center top and center bottom of my footstool. My telephone book is larger than my 81/2 by 11” sheet of Duck Tape Single Sheet. I filled in the edges with black duct tape. I’m glad I used three layers of duct tape. I think it is sturdier and the pages doesn't shift unlike using untaped books. There was a slight page shift from time to time on the two layer of tape version. The leftovers of the one layer of duct tape version is the before photo in the post. 4. 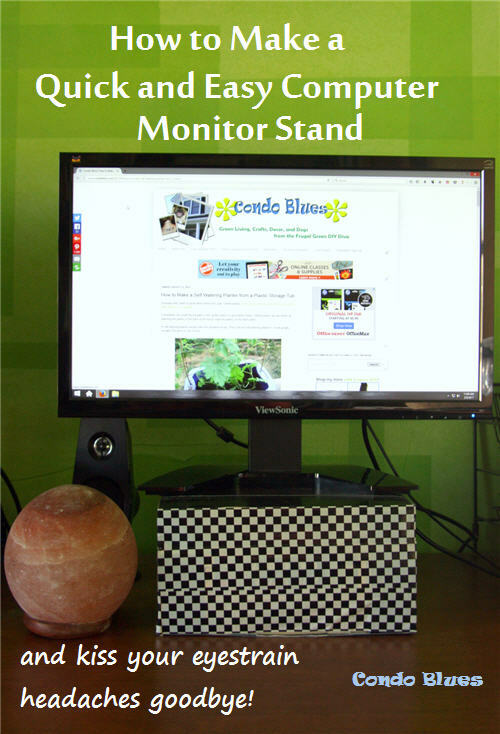 Plop your monitor on your recycled computer stand and read your favorite blog Condo Blues!